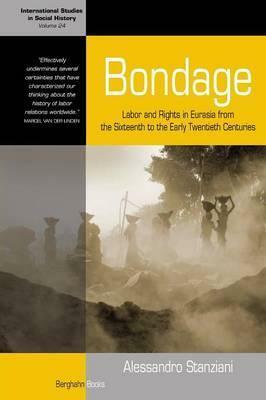 For the first time, this book provides the global history of labor in Central Eurasia, Russia, Europe, and the Indian Ocean between the sixteenth and the twentieth centuries. It contests common views on free and unfree labor, and compares the latter to many Western countries where wage conditions resembled those of domestic servants. This gave rise to extreme forms of dependency in the colonies, not only under slavery, but also afterwards in form of indentured labor in the Indian Ocean and obligatory labor in Africa. Stanziani shows that unfree labor and forms of economic coercion were perfectly compatible with market development and capitalism, proven by the consistent economic growth that took place all over Eurasia between the seventeenth and the nineteenth centuries. This growth was labor intensive: commercial expansion, transformations in agriculture, and the first industrial revolution required more labor, not less. Finally, Stanziani demonstrates that this world did not collapse after the French Revolution or the British industrial revolution, as is commonly assumed, but instead between 1870 and 1914, with the second industrial revolution and the rise of the welfare state. Alessandro Stanziani is Professor at the EHESS (Ecole des Hautes Etudes en Sciences Sociales) and Senior Researcher at the CNRS (Centre National des recherches Scientifiques), Paris. He is the author of four monographs, ten edited volumes, and more than one hundred articles. His books include Rules of exchange: French capitalism in Comparative Perspective, 18th-20th Centuries (Cambridge University Press, 2012) and Batisseurs d'Empires. Russie, Chine et Inde a la conquete du monde (Liber-Seuil, 2012).